Brownies from Baschurch put on a special performance this week at their last meeting of term before their Easter holidays. A baby shower for Brown Owl, complete with sketches performed by each of the Sixes and party games with a baby shower theme. 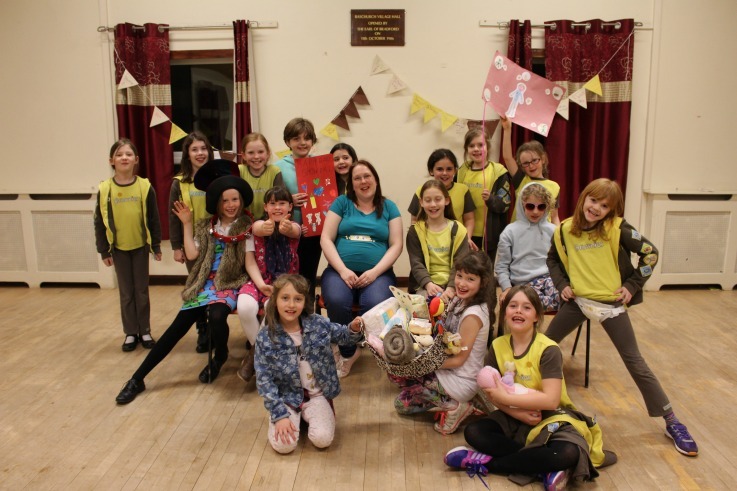 The Brownies presented Brown Owl with a basket of presents for her new baby as well as handmade cards and posters.